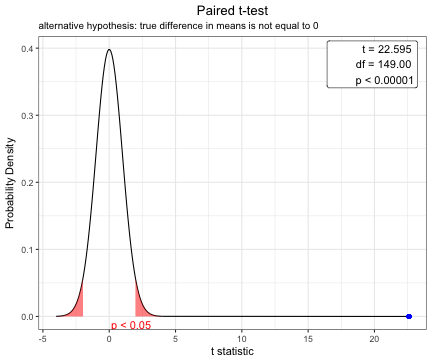 To understand the concept of p value is very important. 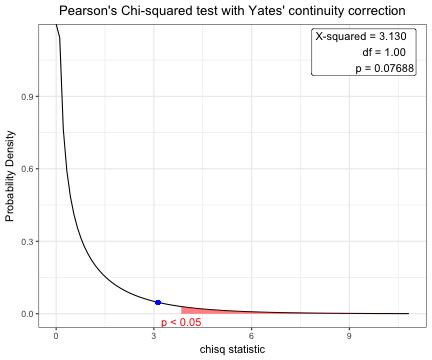 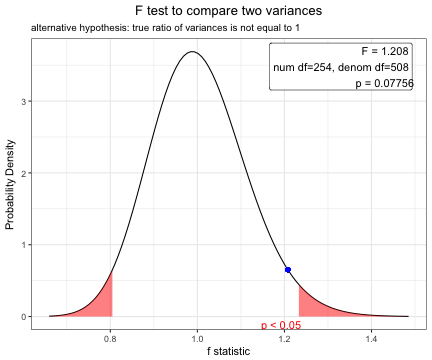 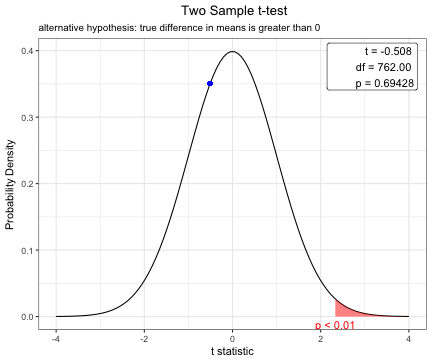 To teach the the distribution of common statistic( $\chi^2$ for chisq.test() , t for Student's t-test , F for F-test) and concept of the p-value, plot.htest() function can be used. 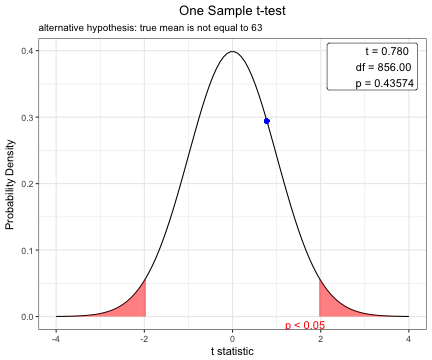 The plot.htest() function is a S3 method for class "htest". Currently, this function covers Welch Two Sample t-test, Pearson's Chi-squared test, Two Sample t-test, One Sample t-test, Paired t-test and F test to compare two variances.